Hollywood Grande Dame Lauren Bacall (1924- 2014), named Betty Joan Perske by her Romanian, Jewish mother and Polish father, died in her apartment overlooking Central Park at the age of 89 on Tuesday morning. Spotted modelling in a New York department store by Harper’s Bazaar editor Diana Vreeland, she graced the cover of the magazine in March 1943. The image launched a Hollywood film career that spanned 70 years. Significantly, the cover was shot by pioneering fashion photographer Louise Dahl-Wolfe. Dahl-Wolfe was breaking new ground with her experiments in colour and light, and was one of the only women photographers working on a leading magazine at the time. 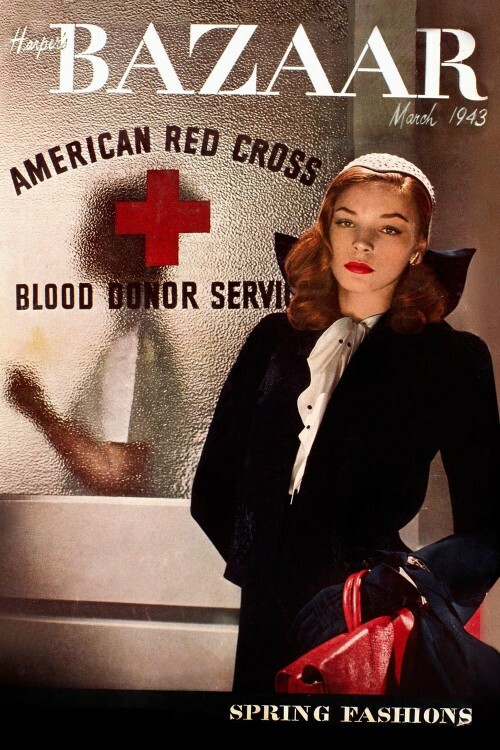 She depicted Bacall as a re-imagined, glamorous, Red Cross Nurse. 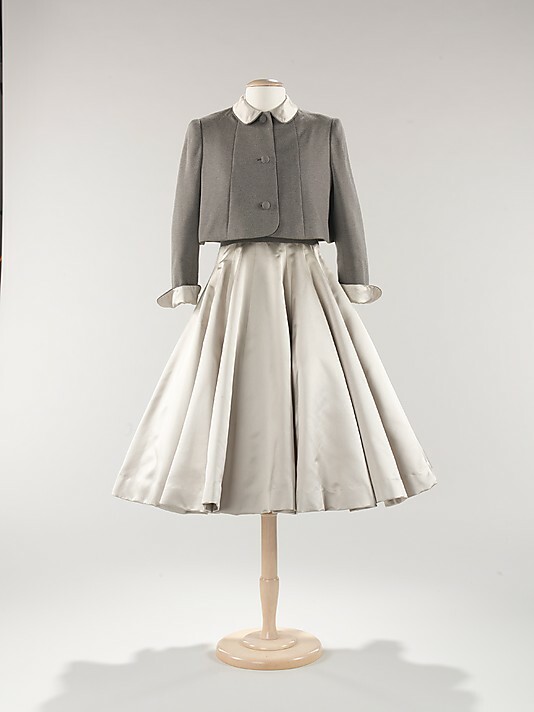 Bacall’s cape was restyled as a modern jacket with shoulders as sharp as her attitude and a pointed collar that was fittingly standing to attention. Her nurse’s cap dazzles with diamontes, shimmering in stark contrast with her gory, blood red, leather briefcase. Bacall was not only a metaphor for women’s contribution to the war effort, nor simply a symbol of hope and patriotism, she stood for American heroism itself, her seductive gaze seeming somehow edgy and tough, her fashion chic, certain and determined. Looking like this, the war was all but won. Aged 19, her first onscreen role was opposite future husband Humphrey Bogart in the seminal wartime film noir drama To Have and Have Not. It is classic Bacall, as littered with double entendres as it is Vichy resistance fighters and bullet bras. “Who was the girl, Steve?” she asks Bogie. “What girl?” he retorts. “The one who left you with such a high opinion of women.” Sharp words from the woman who was suspended from Warner Brothers 6 times for turning down roles she was said to have thought demeaning, and who repeatedly marched on anti-McCarthyism rallies. Bacall had an intimate relationship with the fashion industry, not only in her role in the 1957 romantic comedy Designing Women in which she was dressed by Mainbocher, but also in private life. 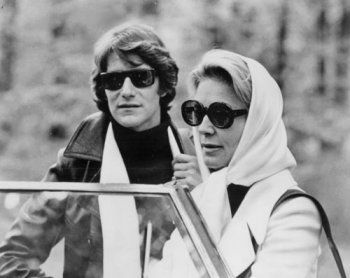 Amongst her closest long term-friends were couturiers Yves Saint Laurent, Pierre Cardin, Ralph Lauren and later, Jean Paul Gaultier. Whilst she may have been an early adopter of the jumpsuit, in reality, she favoured the sleek and understated, and demonstrated a deep understanding of the art of elegance. Her onscreen image as a sultry star was carried off-screen as she repeatedly appeared in her favourite designer Norman Norell’s evening wear and only ever wore Italian born Parisian shoemaker René Mancini’s slender, low heels. Nicknamed “The Look”, Norell said the Bacall rule of dress was that you “Shouldn’t have to do much with clothes, just wear them.”(1) Her appearance of effortless sophistication was as well crafted as her self-assured public persona (the gaze for which she became so famous- where she looked up as she held her chin to her shoulder- was a technique she developed for disguising how she physically shook from nerves). 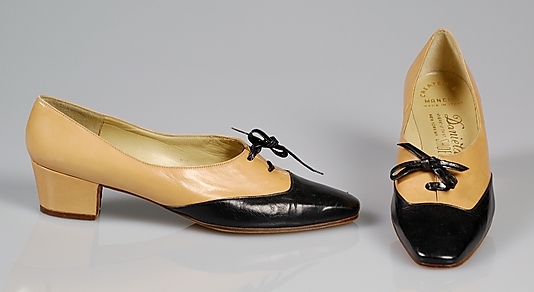 Her fashion cycle comes full circle as a selection of 700 items she gifted to the Fashion Institute of Technology goes on display at the New York museum next year. The exhibition will focus on her look from the fifties and sixties, concentrating on her favourite designers Norman Norell, Yves Saint Laurent, Marc Bohan for Christian Dior, Pierre Cardin and Ungaro.